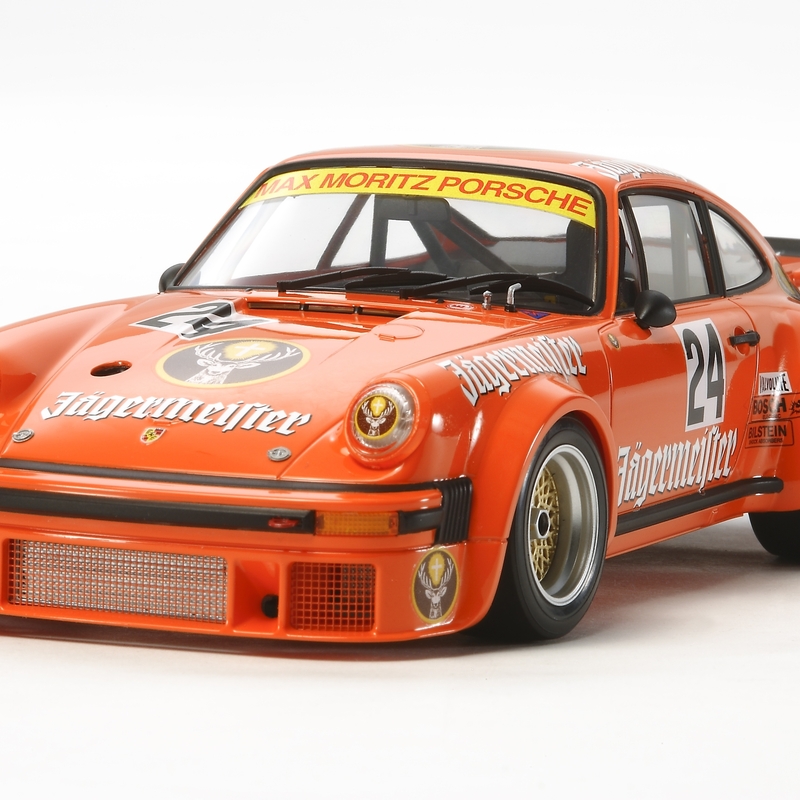 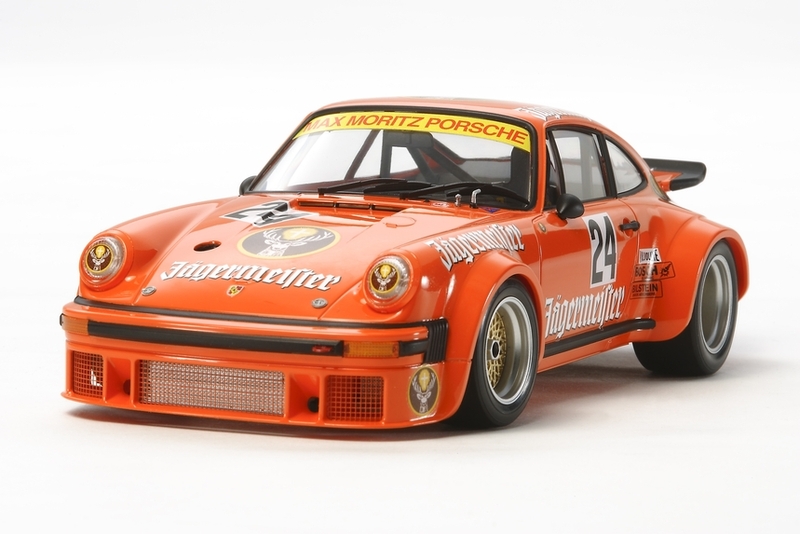 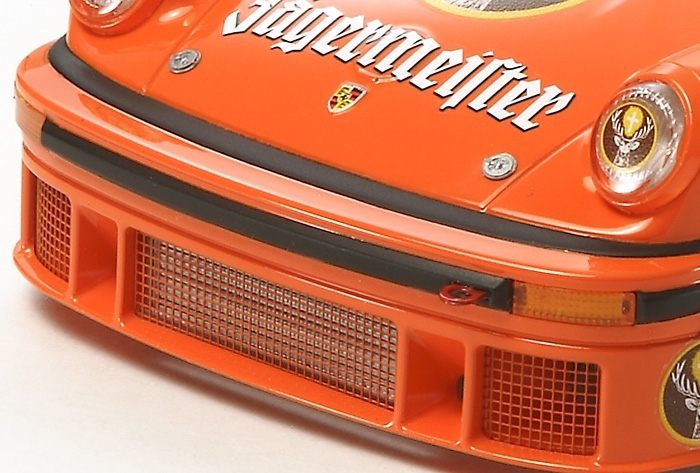 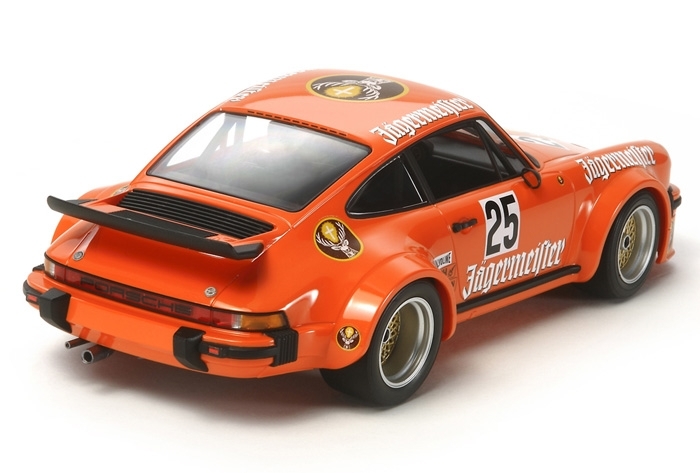 This famous racing car makes its way into the Tamiya 1/24 Scale Sports Car line up, having also appeared in the 1/12 Big Scale Series back in 1976. 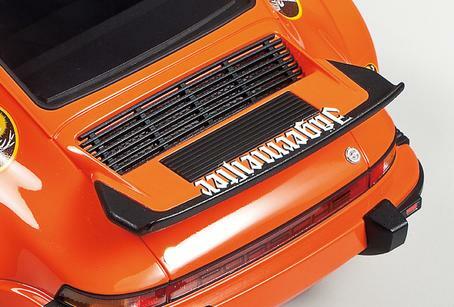 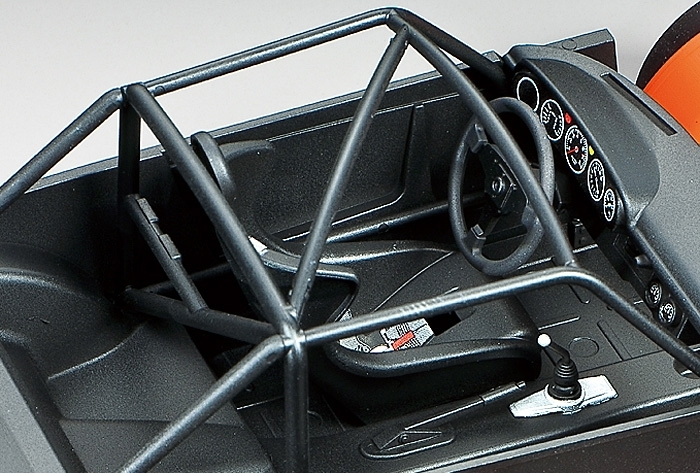 With the attention detail one comes to expect from Tamiya models, this model faithfully replicates the car's flared fenders and large rear wing, the interior with roll-cage, and even the underside of the chassis. 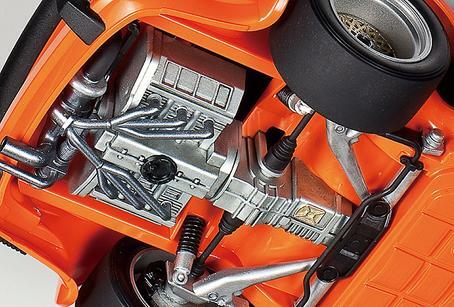 The metal-plated wheels are fitted with rubber slick tires, and the front bumper and engine hood mesh are recreated using photo-etched parts while metal transfers are used for the cars mirrors. It all adds up to a very precise model! 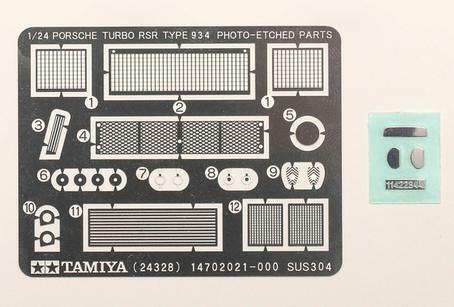 ★1/24 scale plastic model assembly kit. 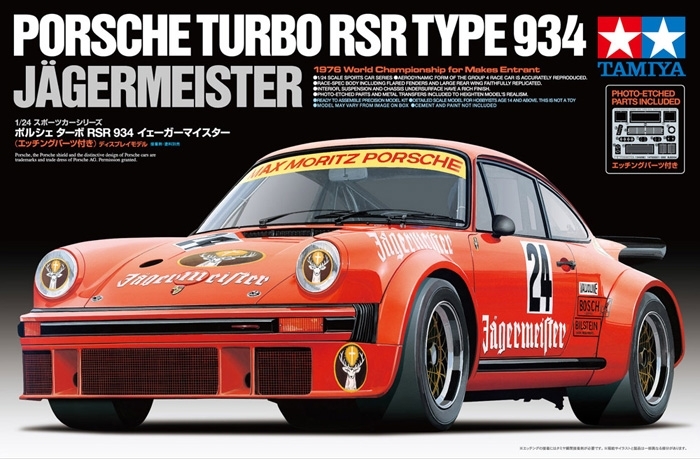 ★Length: 179mm, Width:83mm ★The model faithfully reproduces the car, down to details not on the road car, such as the widened fender and large rear wing. ★Realistic reproductions of the roll cage and interior, suspension, chassis underside and so on ensure that this model maintains a high level of accuracy. 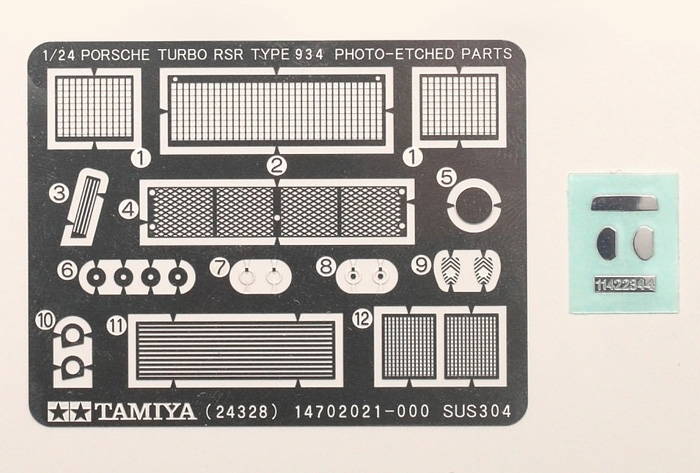 ★Photo-etched parts are included to further enhance the model's detail.